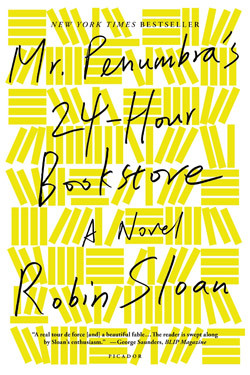 Mr. Penumbra’s 24-Hour Bookstore by Robin Sloan. I couldn’t stop reading this novel about a laid-off San Francisco Web designer who finds work in a tiny, hole-in-the-wall bookstore, where people rarely come to buy books, but a handful show up to borrow the ones on the highest shelf – the ones that are written in code. Loved it. 30 Naughtiest Dogs. Not the Roomba! The Lego Movie. My niece and nephew begged to go, but I think Jeff and I probably liked it even more than they did. I cannot get “Everything Is Awesome” out of my head. Bill Murray in PBR pants. This teen’s finding that a simple font change could save the government millions. “25 Things You Should Know About Life with a Toddler” (from terribleminds). Heal Yourself, Skeletor. A tumblr full of positive affirmations delivered by He-Man’s archenemy. The idea of biodegradable urns turning cemeteries into forests. Weird but nice, too. Next Post Whole30 Days 16-20: BrrrZap!